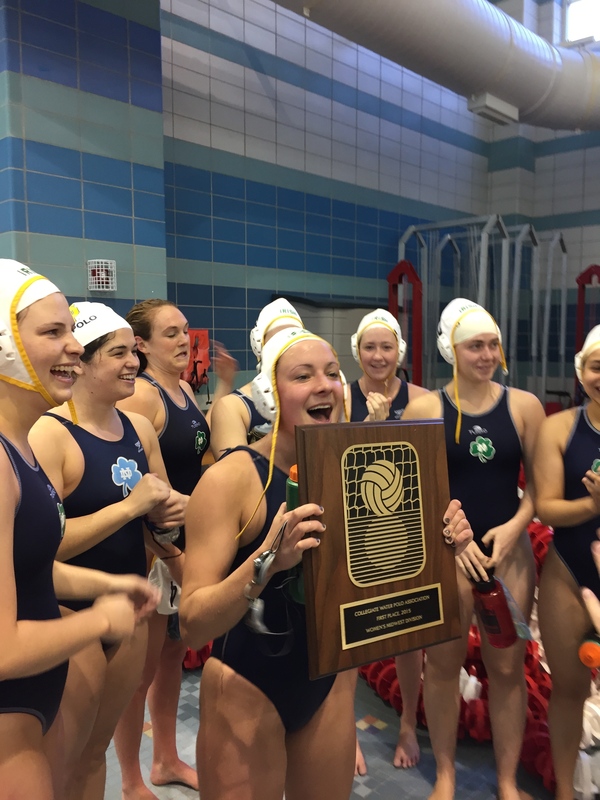 The University of Notre Dame Women’s Water Polo Team made CWPA history with its 18th appearance in the Midwest Division Championship Game, 12th conference championship win, and 9th consecutive championship win. 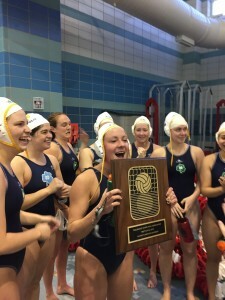 In a stellar performance, they defeated Lindenwood 8 – 5. 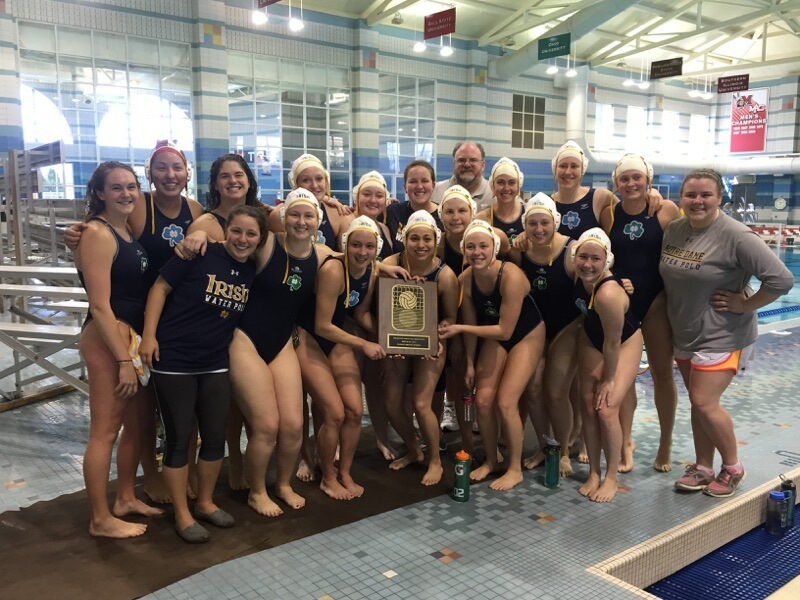 The Fighting Irish had lost to Lindenwood much earlier this season, and definitely made a statement by showing the Lions just how much they have grown as a team this year. Though down by two points at the start, the Irish maintained their composure by hammering in two quick counter attack goals before the end of the first quarter. Sophomore goalie Caley Martinez connected with juior Colleen Fricke, whose first goal floated over the head of the Lindenwood goalie. Martinez then fed a pass to Ellen Dowling, who then passed to Fricke on the weak side and secured the Irish with the tying goal. The second and third quarters sealed the game for the Irish. The Irish scored three goals per quarter. Senior Ellen Dowling scored one five meter shot and junior Madeline Renezeder added with two additional five meter shots as well. Senior Alex Whelan scored a high cross-cage shot from the right flat and senior Kathleen Schiavenza tacked one on before the end of the first half from the 5M marker with a near side low skip shot. Martinez played solid defense in the goal, not letting anything past her during both the second and third quarters. The continual counter attacks and movement on the offensive end combined with solid team defense surely wore down the Lions to the point of no return. Though the Lions responded with three goals in the fourth quarter, they were not able to inch their way back. The Fighting Irish head to Middlebury College, in Vermont, for the 2015 National Championship Tournament. They will face the winner of the New England Division in their first round of play on Friday, May 1st. Thank you to all the parents, friends, and fans of the University of Notre Dame Women’s Water Polo Team for the continual support throughout the season.